Reduced Productivity. 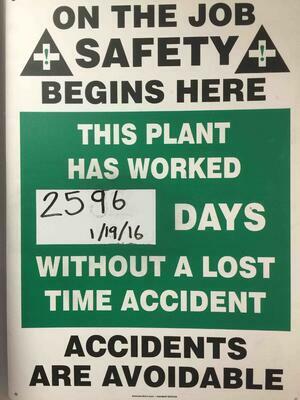 On any shift where a time-lost safety incident occurs, productivity will suffer. Not only does production have to be shut down while the worker is treated, federal inspectors may further require production to be delayed while they investigate. This delays production and may put the manufacturer behind schedule. Worse yet, if the injured person cannot return to work, more productivity will be lost as the new employee adjusts to the role. Loss of Talent. An injured worker may not be able (or willing) to return to work at a later date. This results in a loss of talent that makes it harder to complete work in the future. Additional costs to replace the worker may also be incurred—such as recruitment and training expenses. Monetary Costs. A time-lost safety incident can impact a manufacturer’s insurance costs, result in large medical bills, and cause fines to be levied against the company. These monetary costs can adversely impact the company’s cash flow, delaying important investments and disrupting payments to equipment loan/lien holders. When it comes to safety incidents, an ounce of prevention is worth a pound of cure—that’s the reason why Marlin Steel invests so heavily in ensuring workplace safety. In fact, Marlin Steel has a years-long safety streak and several OSHA SHARP designations—at the time of this writing, Marlin Steel is one of only two companies in Maryland with a SHARP designation. Marlin’s own record of safety may be part of the reason why other companies turn to Marlin for their custom wire form needs—especially when said wire forms are going to be used for safety equipment. 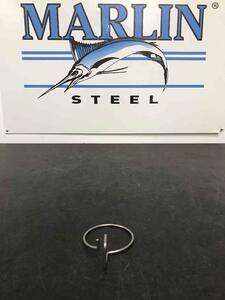 Recently, one safety-minded company turned to Marlin Steel to manufacture a series of rounded wire hooks to hold safety curtains in place. The customer’s safety curtains were meant to prevent the spread of dangerous chemicals, fumes, and flames in the event of a safety incident. The safety curtains needed to be easy to move open and closed in case of an emergency, and the custom hook wire forms strong enough to support the weight of the curtain at all times. To facilitate ease of movement, the custom wire hooks needed to be extra strong, resistant to corrosion, and smooth-surfaced. Why? First, if the wire forms weren’t strong enough, they would droop and cling more tightly to the rod the hooks were hanging from. This would increase the surface area of the hook that was in contact with the rod, causing more friction when moving the curtain. Also, if the hook became too bent out of shape, the safety curtain might fall off of it. So, the hooks had to be extra strong. Second, the surface condition of each wire hook would impact its ability to slide along the surface of the rod it would be hanging from. A corroded hook would have a rough, rusty surface that would make moving it more difficult. A smooth, unblemished surface would be ideal for reducing friction. To prevent corrosion, a chemical-resistant stainless steel wire could be used for the custom wire hooks. Although, the surface of the rods would also need to be made of a stainless steel alloy as well. Otherwise, iron particles from the rods could transfer to a wire hook and compromise the hook’s protective oxide layer. This particular wireforming task was not very complicated. But, it did require both precision and speed in every aspect of the process. The client needed these safety curtain hooks as soon as possible so as not to delay their own production—which could not start until the right safety measures were in place. First, Marlin’s engineering team needed to know a bit about the safety curtain the client would be using: how large it was, how much it weighed, and how many places per square foot had a slot for attaching a hook. This would let the engineering team know exactly how much weight each hook would have to hold so they could customize the thickness of the wire used to ensure sufficient strength without wasting material. Second, Marlin’s engineers needed to know what chemicals and temperatures the hooks would be exposed to on a daily basis, as well as any conditions that might arise during an emergency (such as the release of chemical fumes, flames, etc.). This would help guide the material choice for the custom wire forms so they would not melt or fail during an emergency. Once the data about the curtain and likely conditions was collected, Marlin’s engineering team was able to quickly create a wire hook design with the right diameter and shape to securely hold the safety curtain in place while being easy to move when needed. To verify that the hook was not too thick or thin, the design was tested using Finite Element Analysis (FEA) software. This virtual physics simulation emulated the effects of years of use in mere minutes, letting the design team know exactly how well their custom wire hook design would hold up to actual use. After finalizing the design, it was passed to the manufacturing team for assembly. Here, Marlin’s Baltimore-based manufacturing team programmed a wire bending robot cell to extrude the exact right amount of wire for each hook and bend it into the exact shape specified in the design. Because each hook was a single piece of wire, there was no need for any welding or other shaping/bending operations. The completed hooks were then passed through a grinding machine to smooth out the rough edges near the cut ends of the wire—making them safer to handle with unprotected hands. 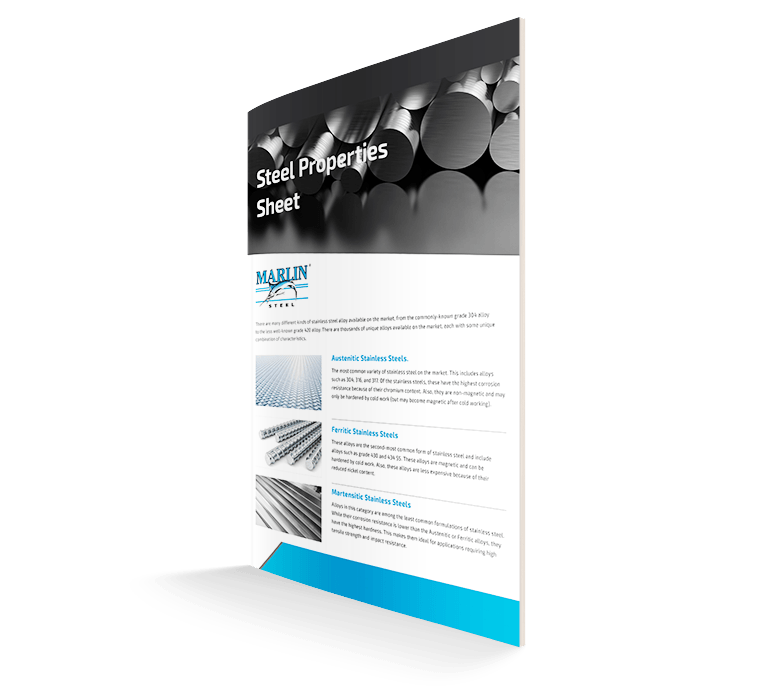 With an entire manufacturing cell of wire bending robots working at top speed, Marlin was able to fulfill the client’s order quickly and efficiently.